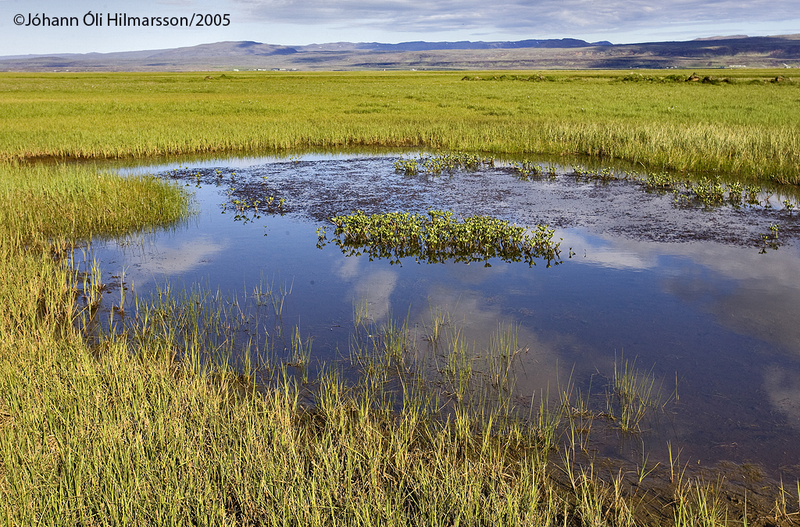 The Flói Bird Reserve was established in 1997 when the local district of Eyrarbakki (which later became Árborg) and BirdLife Iceland signed an agreement on the restoration of wetlands east of the river Ölfusá. 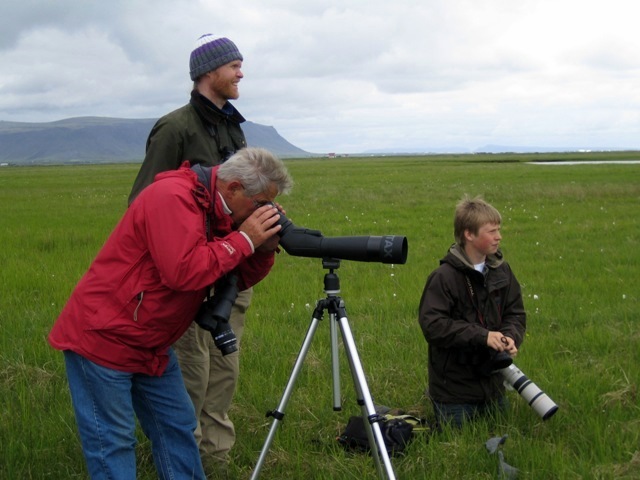 In the spring of that year BirdLife Iceland received its first grant from the Environmental Fund for Trade, and since then a great deal of effort has gone into reclaiming wetlands and developing facilities for birdwatchers. 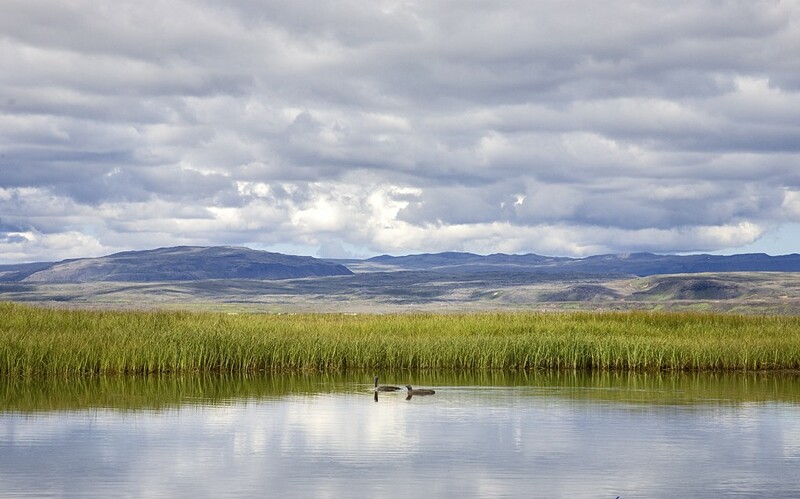 It is only the second wetland reclamation project of its kind in Iceland. The Flói Bird Reserve is an excellent example of a successful partnership between the local authorities, non-profit organisations and a conservation fund. 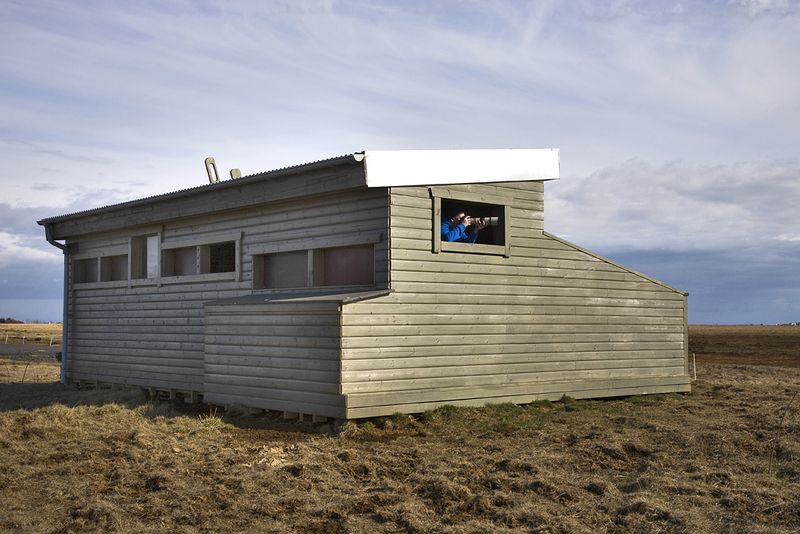 On the 2010 Environment Day, Árborg and BirdLife Iceland signed a new agreement and formally opened a bird hide at the Reserve. The hide is open to all visitors from spring to autumn. The hide was specially designed to enable access for wheelchair users. The Reserve is characterised by its flood meadows and numerous small ponds. 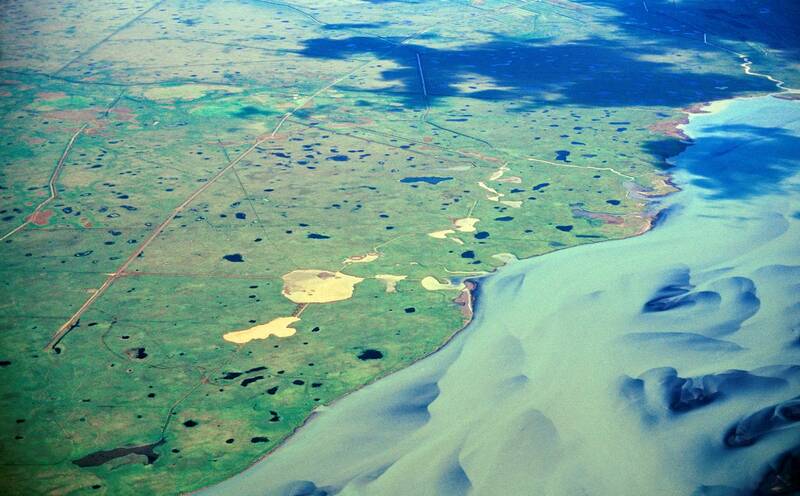 It covers an area of approximately 5 km2 and is roughly 1-1.5 km wide. 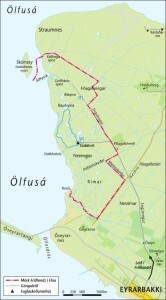 Together with the Ölfusforir area and the estuary of the river Ölfusá it forms an Important Bird Area (IBA) as defined by BirdLife International. The area is low-lying, averaging a mere two metres above sea level. 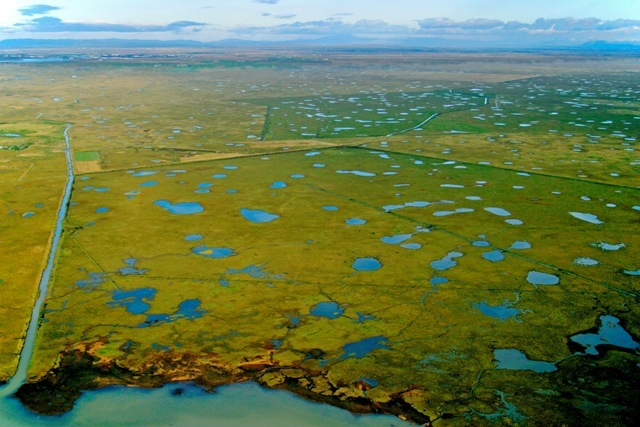 At spring tide the seawater can flood into the Reserve and only the hummocks at Stakkholt, where the bird hide is located, remain above water. In clear weather the views to the surrounding mountains are simply stunning. The Flói area is situated on the great Þjórsá lava plain, which was formed around 8,700 years ago. The lava originated from an eruption far inland in the Veiðivötn area and it was the largest post-Ice Age lava flow on earth. The surface of the reserve is covered with pools and ponds. Depressions in the ancient lava are filled with water because of the high local water table. There are thousands of such pools dotted around in the lava and they range from 4 metres to several dozen metres in diameter and most of them are rather shallow. Approximately 70 species of birds have been recorded in the Reserve and 25 species breed regularly. Wetland bird species are characteristic and the surrounding area provides a range of bird-rich habitats such as the seashore and the river estuary. The birdlife is particularly dense and diverse in the breeding season. Waterfowl are represented by Whooper Swan (3-4 pairs), Greylag Goose (dozens), Mallard, Wigeon, Teal, Scaup, Tufted Duck and Red-breasted Merganser. Pintail is probably annual and Gadwall and Shoveler are seen in the breeding season; these three species are all rare in Iceland. Red-throated Divers breed widely through the Reserve and there are several dozen pairs. It is the Reserve’s flagship bird and it has become much more common following the reclamation of the wetlands. 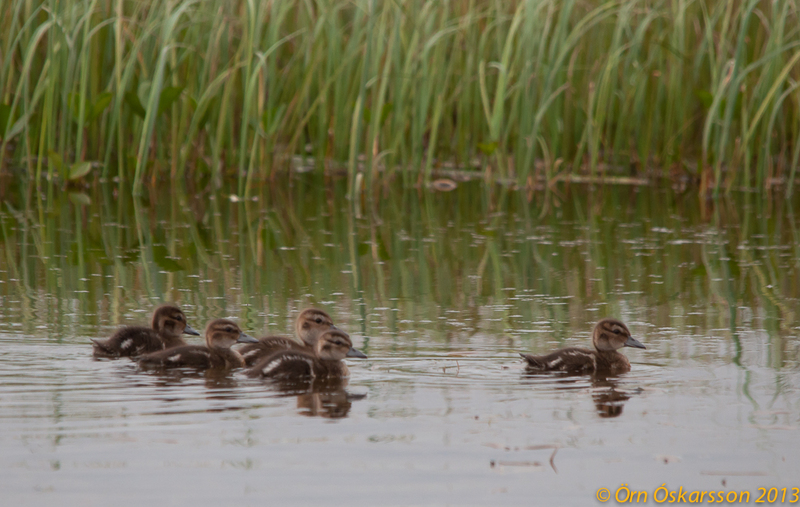 There is a sizeable Common Eider colony on the Kaldaðarnes islands in the river Ölfusá and several pairs breed in the Reserve itself. The Black-headed Gull is an irregular breeder. A few pairs of Arctic Skua, Lesser Black-backed Gull and Great Black-backed Gull breed. Arctic Terns often forage in the Reserve. The Short-eared Owl is probably an annual breeder although nests are not located every year. Short-eared Owls can often be seen hunting over the Reserve at dusk, especially when they have young to feed. Open country birds are very conspicuous in the Reserve. Dunlin and Red-necked Phalarope are abundant and other breeding species in the marshes include Whimbrel, Black-tailed Godwit, Snipe and Meadow Pipit. Golden Plovers and Oystercatchers breed in the drier areas. During spring and autumn migration Greylag Geese and White-fronted Geese can be found as well as Wigeon and Tufted Duck and various waders such as Snipe and passerines like Wheatear. During winter, birds, chiefly gulls and sometimes Long-tailed Duck and Common Eider, are concentrated in the estuary of the river Ölfusá. Whooper Swan, Teal, Mallard and Goosander are attracted to open water in winter. 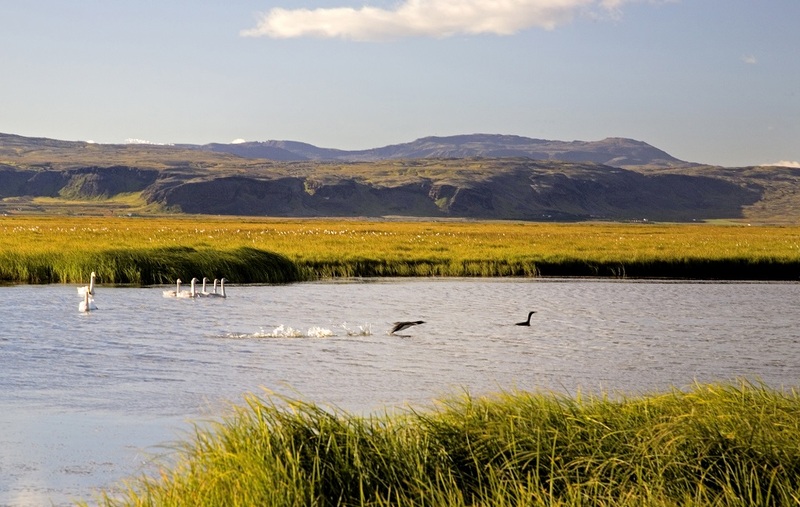 As there is no geothermal heat on this side of the river, there are fewer birds than in the Ölfusforir area on the opposite bank. Flói Bird Reserve – Species.pdf is a document which list the birds you can see in the Flói Bird Reserve and at what time of year. More than 70 species of vascular plants have been found in the Reserve. A wide variety of wetland plant species grow in the marshes. The flood meadows are covered in Lyngbye’s Sedge and on drier ground Woolly Willow, Tea-leaved Willow, Common Sedge and Common Cottongrass predominate as well as various species of grass. Sedge was harvested by the local farmers right up until 1970. Most of the ponds are fringed with Bottle Sedge, Pondweed, Bogbean, Water-milfoil and other pond plants. In the peat holes in the Flóagafl area you can find Northern Bur-reed, Thread-leaved Water-crowfoot and Vernal Water-starwort. At the southern end of the Reserve plants favouring half-dry and dry areas become more conspicuous. Wild Angelica is easy to find here, as are Iceland Rush, Sea Pea, Lady Smock, Arctic Fescue and many more. Two beautiful but rare flowering plants are common in the Reserve. One of them, Devil’s-bit Scabious, grows in several places in the Reserve and also in the marshland. This plant is otherwise only common in the Mýrdal and Eyjafjöll areas on the south coast of Iceland, where it can be found on grassy south-facing slopes. The other plant is Chickweed Wintergreen, which grows all across the reserve. This is only the third known site for this plant outside eastern Iceland where it grows in forested areas. Blue Sedge and Mackenzie’s Sedge are uncommon sedges found in amongst Lyngbye’s Sedge. Common Seals can often be seen in the Ölfusá River as far as the Kaldaðarnes islands, particularly in spring and autumn. The American Mink is common throughout the year and Arctic Foxes are starting to be seen more regularly. Sticklebacks are abundant in the reserve, and the ditches and ponds contain trout and eel. The river Ölfusá is home to salmon and trout. There is a rich diversity of invertebrates in the marshes and ponds, including diving beetles, water boatmen, chironomid-midges and a special type of amphipod which lives in saltwater. Spring mornings and evenings in the Reserve are magical and make for an unforgettable experience. The air is filled with the song of Dunlin and the drumming of Snipe; noisy Red-throated Divers call in flight as they make their way to the sea and ducks display on the sedge-lined ponds. May and June is the best time to visit the Reserve. The Flói Bird Reserve Location. 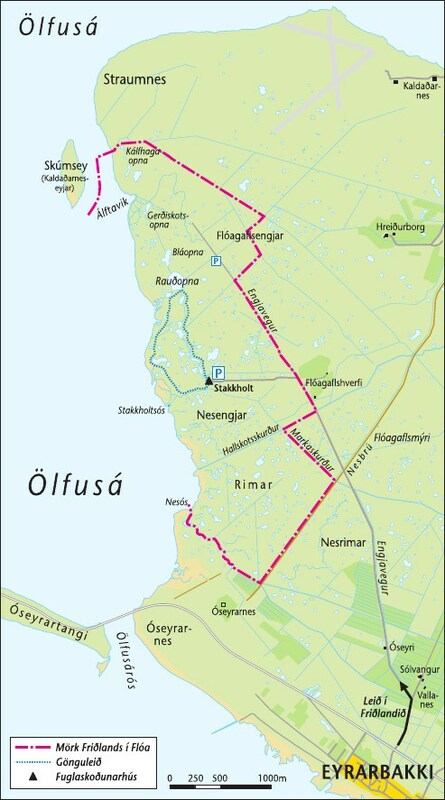 The Reserve is accessible by car from the main road between Eyrarbakki and Þórlákshöfn. Turn north by the village of Eyrarbakki and head past the farm Sólvangur. The road soon heads left and there is a sign pointing to the car park at Stakkholt. The bird hide is the only building in the wetlands and can’t be missed! Keep to marked paths in order to avoid disturbance to nesting birds and damage to sensitive vegetation. Avoid spending prolonged periods close to nesting birds or birds with young. This applies particularly to photographers at ponds with nesting Red-throated Divers. Keep the bird hide tidy. Be considerate to other visitors. Do not walk in front of the hide or climb on the roof if there is anyone else in the hide. Note that the area may sometimes be waterlogged and paths may be difficult to use. Use appropriate footwear. All off-road driving is strictly prohibited. Camping in the Reserve or sleeping in the bird hide is prohibited. 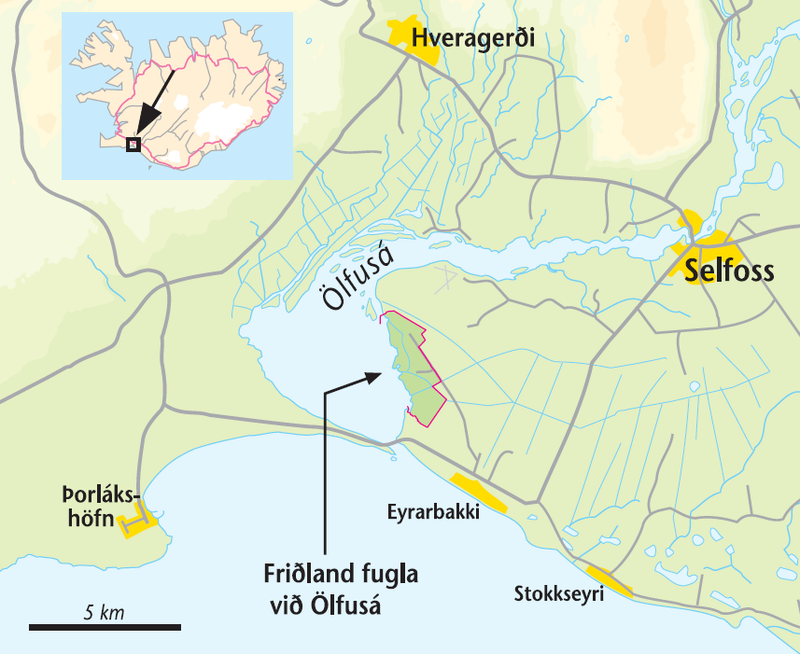 Friðlandið í Flóa. Ljósmynd: Jóhann Óli Hilmarsson. 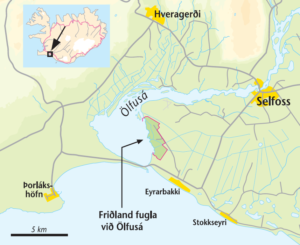 Fuglaskoðun í Friðlandinu í Flóa.